Sizing: These Freddy cotton trousers have a very small fit and a size medium is a UK size 8-10. 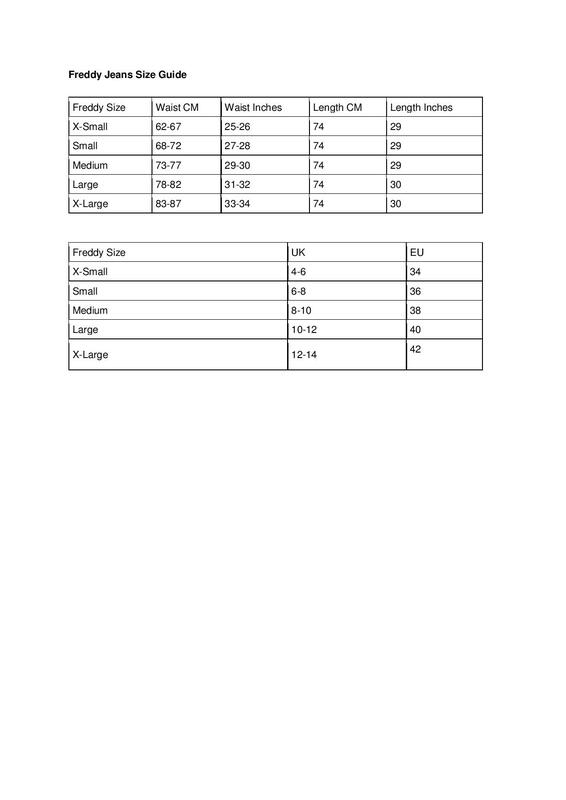 Please see the size guide for more information before making your purchase. Styling: In a stylish black cotton jersey fabric, Freddy presents their skinny trousers which are made with WR.UP® patented shaping technology to enhance your curves and apply pressure to lift the buttocks. Designed with a clever combination of stitching, tailoring and silicone inserts at the waist for a stay put fit. It is important that they are bought in the correct size and should not allow for overstretch for maximum shape. It is advised they should be taken off like trousers and not leggings with the zip and buttons undone first to ensure lasting durability. • Leg Length: 72cm/28” Approx.